Successfully Added Hamburger Mini Palm Speaker to your Shopping Cart. The popular Hamburger Mini Speaker is back, with bigger and better high quality sound than ever! So much power from such a small mini speaker! 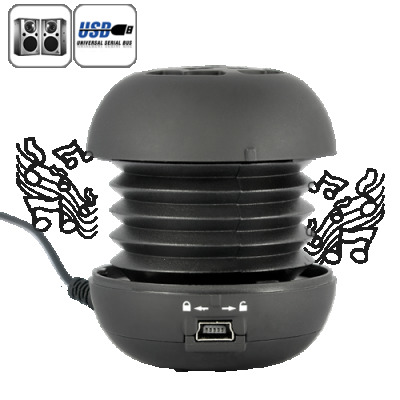 The Hamburger Mini Speaker sounds (and tastes) great with all your portable gadgets that have a 3.5mm audio out jack, including your iPhone, iPod, PSP, 3DS, MP3 player, MP4 player, laptop, notebook, netbook, CD player, mobile phone, and PDA. The Hamburger Mini Speaker is great for sharing your tunes while relaxing outside, vacationing at the the beach, driving in the car, hanging out with friends at school or at the mall, or even relaxing at home and in the office. 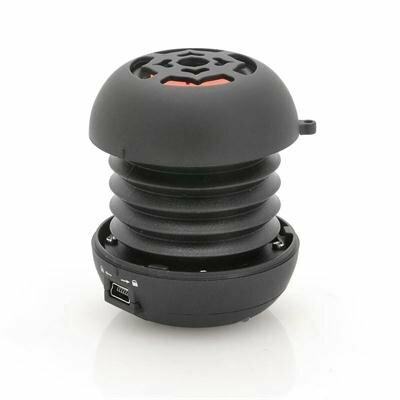 A good speaker, I liked it, but some devices sound quality disgusting! on 2012-05-02 21:11:21 Very good!! Oh this product is amazing perfect sound and clear most have it.!!!!!!!!!!!! !